Tandoori fish has quickly become my new go-to fish Whole30-friendly recipe on busy weeknights. Why? Because these tender and aromatic fillets are insanely easy to throw together, and they pack a big punch of flavor. Besides, your whole family’ll enjoy Tandoori Fish. Really—even picky Lil-O happily gobbled up these fillets without any grumbling. I know—you love fish, but it can be a challenge to serve it up for dinner on a regular basis. 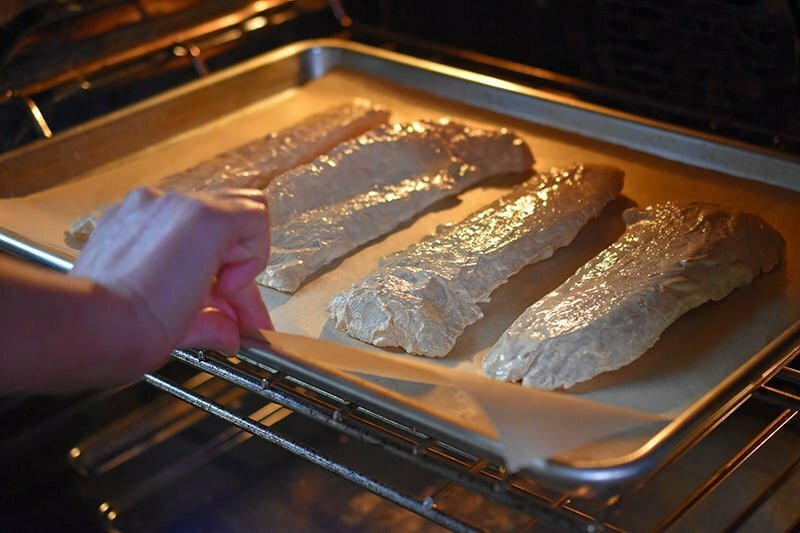 Fish is wonderfully healthy and a great source of omega-3 fatty acids, but it can be tough to find a simple, hassle-free weeknight recipe that also tastes great. The struggle is real, folks. 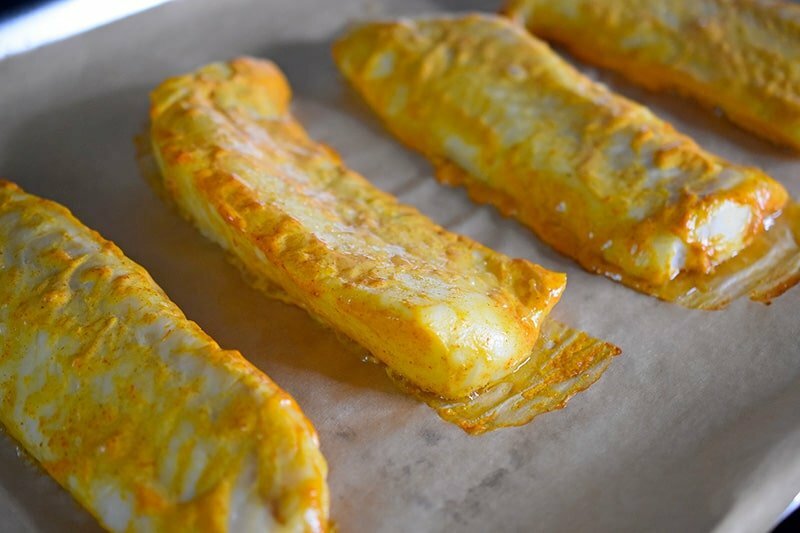 But recently, I rediscovered an old Nom Nom Paleo classic, Super Easy Tandoori Chicken, and realized that I could use this versatile Indian marinade on fish fillets! Not sure where to get some tandoori spice blend? You can buy it at a spice shop, your neighborhood supermarket, or online. Still can’t find it? 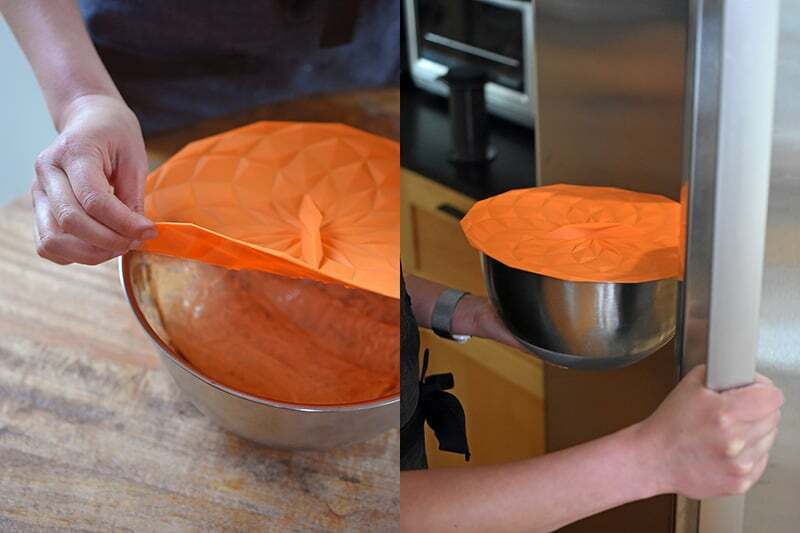 You can make it yourself with stuff you probably already stock in the spice cabinet. 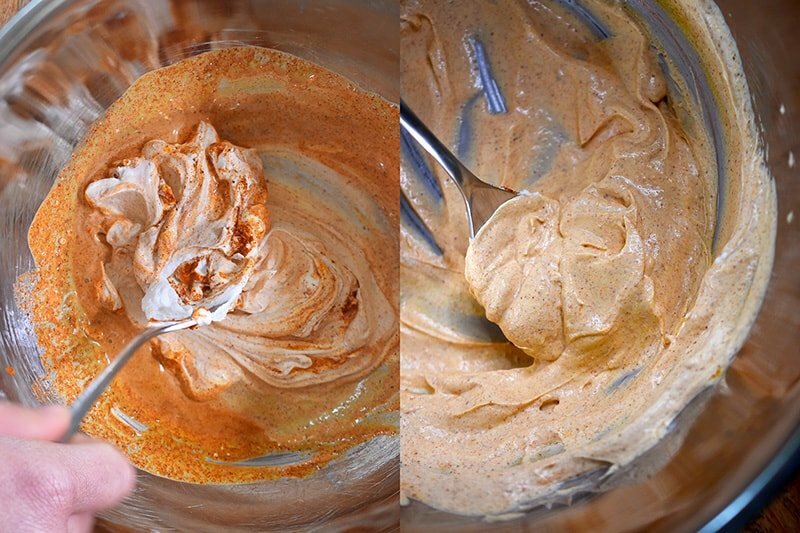 I’ve tried this tandoori marinade with coconut yogurt, coconut cream, and full-fat canned coconut milk, and I can confirm that it works with any of the three. (Personally, coconut yogurt’s my fave.) 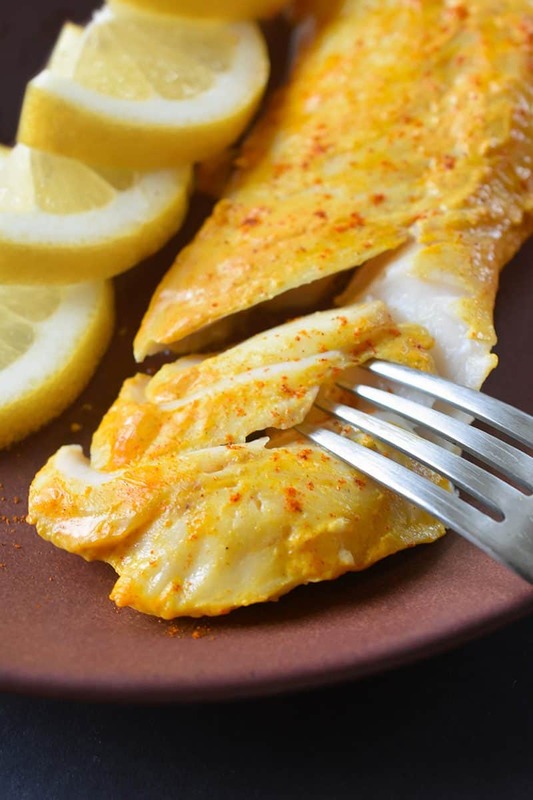 In terms of choosing fish, any white fish fillet tastes great with this marinade—you can use cod, sea bass, barramundi, halibut, you name it! Yup—this recipe’s delicious, Whole30-friendly, and versatile! 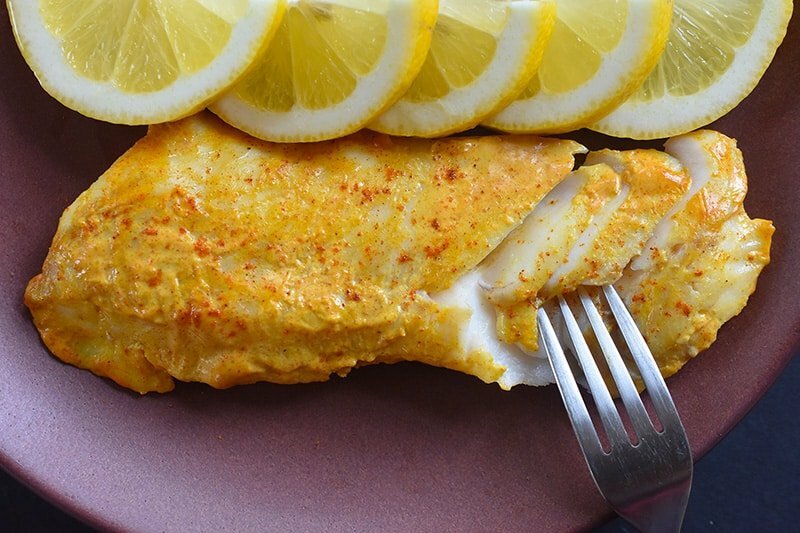 Ready to make tandoori fish a regular part of your dinner rotation? 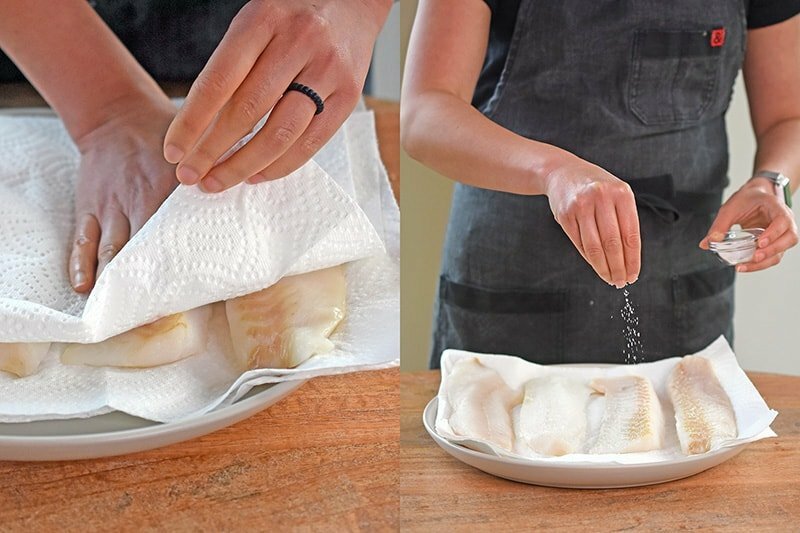 Blot the fish fillets dry with paper towel. Sprinkle salt on both sides of the fillets. 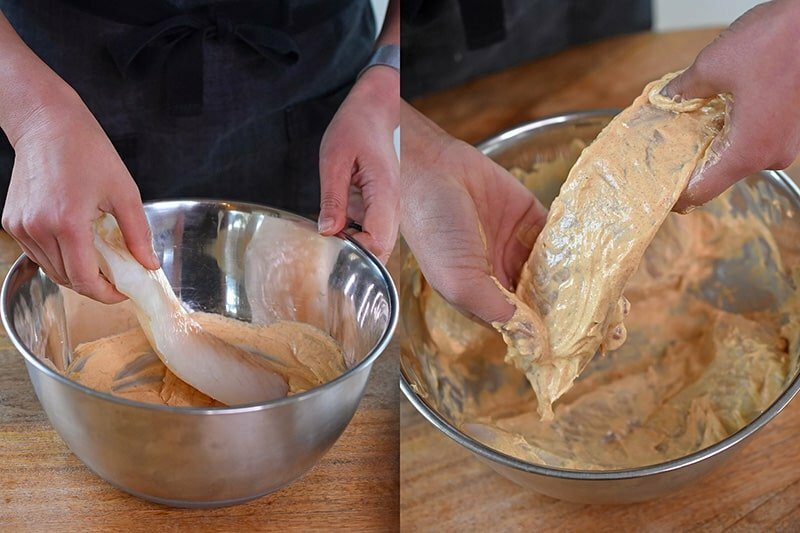 In a large bowl, combine the coconut yogurt, tandoori spice mix, and lemon juice. Add the salted fish fillets and coat them well with the marinade. Heat oven to 400°F with the rack in the middle. 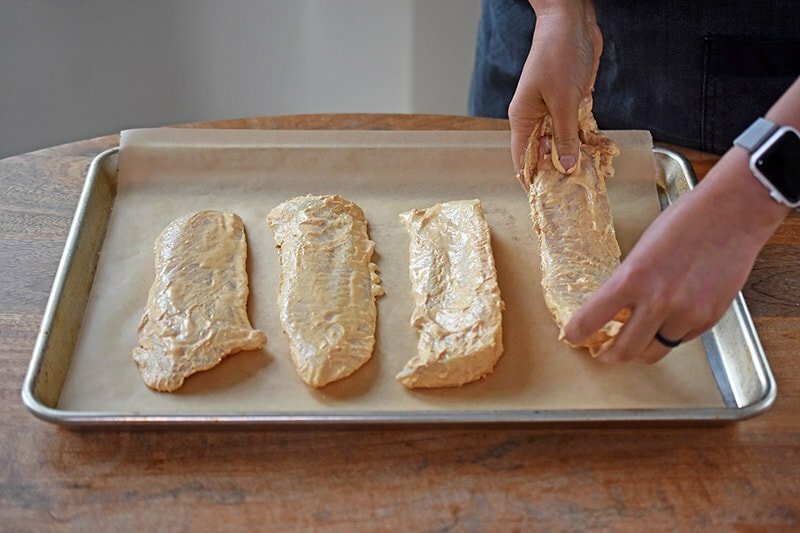 Lay the four fillets on a rimmed baking sheet lined with a piece of parchment paper. Pop the tray of fish in the oven. Bake for 8-15 minutes (depending on the thickness of the fillets) or until the internal temperature in the thickest part of the fillet reaches 145°F. No meat thermometer? Cook until the fish is opaque and flakes easily when nudged with a fork. (P.S. : 1-inch fillets take about 10 minutes, but thinner fillets can cook quicker). Serve with lemon wedges and your favorite veggie side dish. I like to serve the fish with a big green salad, roasted veggies, or cauliflower rice. Still have questions on how to make it? Watch Ollie and I make it on my Facebook Live shot on 4/11/18! 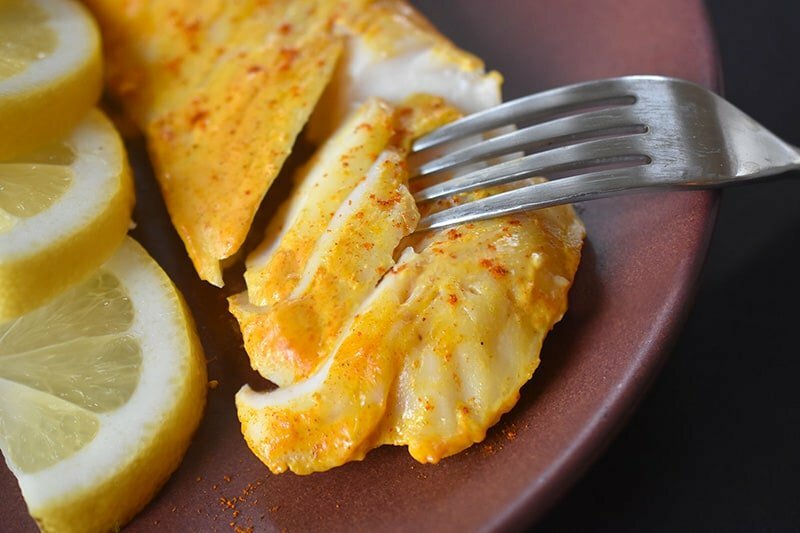 Tandoori fish has quickly become my new go-to fish recipe on busy weeknights! 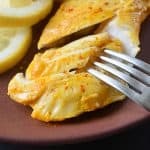 These tender and aromatic fillets are so simple to throw together and pack a big punch of flavor that your whole family will enjoy. This healthy recipe's versatile, Whole30-friendly, and delicious! 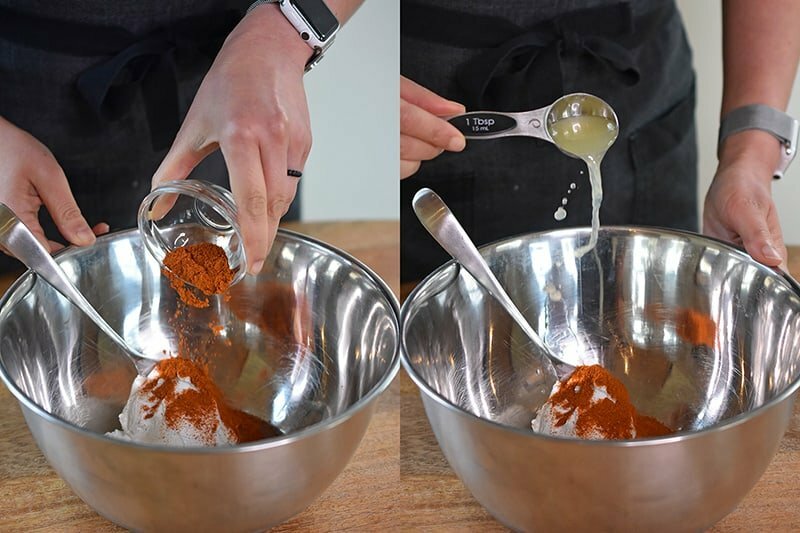 In a large bowl, combine the coconut yogurt, tandoori spice mix, and lemon juice. Mix well to combine. Pop the tray of fish in the oven. Bake for 8-15 minutes (depending on the thickness of the fillets) or until the internal temperature in the thickest part of the fillet reaches 145°F. No meat thermometer? Cook until the fish is opaque and flakes easily when nudged with a fork. (P.S. : 1-inch fillets take about 10 minutes, but thinner fillets can cook quicker).